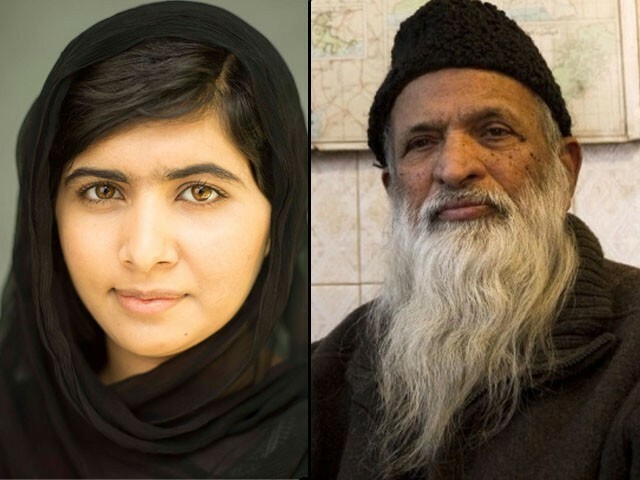 In this moment, Malala deserves the peace prize but so does Abdus Satter Edhi. Let me begin by saying that I like Malala Yousafzai – she is courageous, authentic and has great conviction. But a couple of questions keep dwelling in my mind; why does the West like her so much? What is her appeal to them? And along with these questions dwells the answer as well, which is quite simple; the West is courting her because she represents a side of Pakistan and Islam that suits them. By suggesting this, I am not trying to imply that Malala doesn’t deserve her accolades; she represents hope, valour, defiance and the image of a strong girl hailing from third world Pakistan. She fought her battle with strength, no doubt, but does the west propagate her for that reason alone or is there something else? Since the announcement of the shared Noble Prize for Peace by Malala and Kailash Satyarthi, I have read countless articles, social media updates, Facebook squabbles, tweets and drawing room discussions on, “why Malala and why not Edhi?”. My humble opinion: Abdul Sattar Edhi is the most deserving Pakistani for this award, he should have been given the Noble Peace Prize decades ago, much before Barack Obama and Yasser Arafat. However, we must appreciate the veracity that this is a political award and is not always awarded to the most deserving of candidates. The Nobel Peace Prize is more image-driven rather than personality-driven, and currently it is more about what the west wants to see and project about Pakistan rather than anything else. At the risk of playing the devil’s advocate, should the award not be awarded on the impact of what the recipient may have done for their country rather than what the West perceives it to be? The fact remains that, by comparing Edhi and Malala, we not only simplify and belittle her cause and treacherous journey – which by all accounts is tremendous – but also play into the dangerous game presented to us by the West where the media continually implies that eastern societies thrive on the oppression of women and female children. Rampant, heinous and vulgar it may sound, yes, but for the most part, it is true. What is it that the West likes about Malala that they do not like about Edhi? It’s the image – the image she represents. Malala epitomises the image of Pakistan that the West likes; an oppressed poster girl child who stood against all odds to change the system and raised a voice to fight for her rights and the rights of young girls like herself against her oppressors. On the flip side, who is Edhi? What does he stand for? What are his achievements? What is it that his image can do for the west? How is his persona going to represent humanity and human rights in the third world? What impact will it have on the people viewing Islam and Pakistan from the outside? Edhi’s contribution to strife-ridden Pakistan is immeasurable, and the impact of his charity to the rest of the world is unfathomable. Tattered, poor and violent, Edhi’s Pakistan has catered to billions of victims; orphans, injured, hungry, homeless, abandoned, abused, dead and raped, for more than half a century, all because of a man named Edhi. When no one is there he is, and at times he’s the only one there, but his bearded, topi-pajama-kurta image and dark spot on his forehead does not fit the image of the Pakistan that the West wants to project. The only white bearded man the West likes is Santa Clause – the rest don’t matter. Today, as I discussed the same with a friend, she quoted an interesting incident. 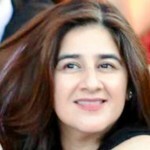 For the past many years, she has been nominating Edhi for the award of CNN Heroes, and yes, all the people winning that award in the past years have been very deserving, but so is Edhi. If the West were watching us so closely, if they so want to make a difference in our part of the world, how is it that Edhi has never been recognised at an international, global level? How has he not been given grants, aid, charity and awards for his lifelong tireless commitment to God’s humanity? What does he need to do differently to get the recognition we all want for him? In this moment, Malala deserves the peace prize, as did Rosa Parks a few decades ago, but so does Edhi. His image may not be right for the West, his gender may be wrong, but his humanity is godliness – a godliness that must be rewarded in this world before it becomes nothing more than just a chapter in Pakistan’s history. As an Indian, I agree that your question is genuine. Edthi has definitely done a lot for humanity. However, Malala is a symbol of resistance to the terrorism. Malala is a symbol of empowerment of women. Malala is a symbol of women-power. Are these symbolism more important than the actual work done by Edhi? Now that’s a meaningless, futile debate with no clear cut answer. There are arguments both for and against. And each argument is equally powerful. And understand that Edhi is not a unique figure. In every country you’ll find people organizations that have been working towards charity. However, Malala and Satyarthi represent a particular area of the subcontinent, where there have been little to no work done both by the governments and the NGOs. Can You name another organization that has challenged Taliban to provide or support education for women in Pakistan? Can People please stop whining over the Nobel Peace Prize? Bravo! Author, pl be ready for negative comments from the defender of recent Nobel peace winner. Stop right there. It’s not about Pakistan. While doubtless Edhi is worthy to be nominated for a Nobel Peace Prize the services he provides are local whereas Malala’s message and appeal are world-wide. Clearly she is the superior candidate. I have written earlier as well, Nobel peace price really has no meaning. The most stupid act was to give it to Obama. However thre is a difference between Malala and Edhi. While Edhi has been doing lot of excellent work for poor and needy, he never took stand against the system which is causing such misery. Without challenging the root cause you will never solve this problem. Malala should grow a beard !! wear a Topi and Gray kurta pajama Only to please Bisma Tirmizi !! Malala is characterized by her story and personality courage and no comments on image because its always has been modest than how was it IMAGE driven she is not Next top model nor a cry baby damsell in distress !! the second noble winner has a beard wears kurta Pajama too Miss !! Mother Teresa: Founded the charity where they run hospices and homes for people with HIV/AIDS, leprosy and tuberculosis; soup kitchens; dispensaries and mobile clinics; children’s and family counselling programmes; orphanages; and schools. International Physicians for the Prevention of Nuclear War (IPPNW) is a non-partisan federation of national medical groups in 63 countries, representing tens of thousands of doctors, medical students, other health workers, and concerned citizens who share the common goal of creating a more peaceful and secure world freed from the threat of nuclear annihilation. Desmond Mpilo Tutu (born 7 October 1931) is a South Africansocial rights activist and retired Anglican bishop who rose to worldwide fame during the 1980s as an opponent of apartheid. Peacekeeping by the United Nations is a role held by theDepartment of Peacekeeping Operations as “a unique and dynamic instrument developed by the Organization as a way to help countries torn by conflict to create the conditions for lasting peace. Aung San Suu Kyi, kept under house arrest but did not give in to her opponents who, surprise surprise, were backed by western money. Nelson Rolihlahla Mandela, who OPPOSED the apartheid system in South Africa. Yasser Arafat, who spent much of his life fighting against Israel in the name of Palestinian self-determination. Muhammad Yunus, a Bangladeshi who wanted to DRIVE OUT western economic influence from his country through micro finance. well we shot her in the head, then did not allow her to return to our country. Ah yes we also claimed that she was a western puppet. Who and When was Kailash Sidhyarthi introduced to the west. Even east has not heard about this person. Your logic is very lame. I wholeheartedly support every single word in this article. EDHI is an exemplar of peace and service to humanity. There are may who play with semantics and state community service is not the same as “standing up to the Taliban”, this is utter nonsense as anyone who lives in Karachi knows what EDHI has had to face on a daily basis. Wen I heard about the award I was happy for Malala but I was heartbroken that once more EDHI sahib has been overlooked, Malala is much too young on her journey of service to humanity to be granted such an accolade at 17 the grant of such an award wreaks of political “skulduggery”. And I wholeheartedly agree with you that with EDHI there is no political mileage and that is one of the reasons he will always be overlooked. But awards are commonplace, Pakistan has two Nobel award winners but only one EDHI. Expected what, may I know? The west just gave this Award to malala in order to place before their public that US is not wasting their Tax money rather it’s used to help Pakistan againist Taliban . Malala is just that one face that the US is using to safe their face in front of their Public, that’s it. Wrong. He is disliked only cos he was an Ahmadi. Nobel Peace prize has, for sometime now, become a victim of politics. Yasser Arafat got it but Gandhi did not get it. It is really a joke but then that is how the world of realpolitik operate. A Nobel Peace is waiting to be showered on anyone in the subcontinent who has the guts to solve the kashmir issue. Narasimha Rao, the ex- PM of India once said that he is not going to put his political career at risk for a Nobel Peace prize by compromising on Kashmir. Coming to the article, I think Edhi should have gotten this prize. I have been hearing about the good work he is doing for decades now. It is funny to see how Pakistanis are giving opinion on who should get Nobel Prize and who shouldn’t. Pakistan is not part of Nobel Prize committees who select the prize winners. And the committee must have its own criteria for selection, and yes sometime their choices are criticised as well. However, its a prestigious international award, and we should feel very proud of Malala winning a Nobel and not start coming up with all sorts of negatives against her.